Most people are familiar with various rodents like mice or rats, but may not know what signs to look for or understand the implications that a rat infestation can have on their health and the health of their families. Rats, while relatively small, can cause significant structural damage to homes, storage buildings and more. They can also carry communicable diseases such as Hanta virus, the plague and cause good spoilage and loss. The economic impact that a rat infestation can have on one household can total in the thousands. If you suspect you have a rat problem in your home or worse a rat infestation, there should be little reason for you not to pick up the phone and call upon the services of rat extermination company immediately. 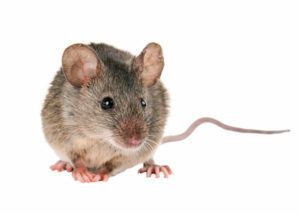 Do you suspect you need a mouse or rat exterminator? In most cases, you will never see the rats themselves. But, while you might not ever be face to face with the rats that lurk behind your walls and under your floors. A good mouse exterminator or rat exterminator will help you notice that; cardboard food boxes may have gnaw marks on them, help you notice the telltale small, black rice-like droppings that rats leave as they forage through your cabinets. You may actually hear them moving through your cabinets and walls at night after your household routines begin to wind down. Rats rarely create their own holes in your walls, however, they can take advantage of the smallest openings and you can often see worn down edges of small openings indicating the frequent passage of one or more rats. The experts rat and mouse exterminators at Extermination Falcon will be able to quickly spot any signs of mice or rats in your home or place of business and quickly proceed to the mouse and rat extermination process allowing you to settle into a pest free environment. The biggest challenge in eliminating rats from your home is the prevention of future reinfestation. Rats are resourceful creatures and will often come back after efforts to get rid of them have stopped. This means that a quality rat exterminator needs to not only address the current infestation, but also prevent future infestations by sealing all external openings. A quality rat exterminator will also remove rat nests and neutralize any rat droppings in order to minimize the impact that it has on your health. Extermination Falcon has been providing quality rat infestation control and removal in Greater Montreal for over 30 years. We understand what getting rid of rats and mice in house and rat infestations are all about. We also have the experience to assure that you are aware how to prevent a new infestation from happening again in the future. We offer quality, professional and affordable extermination services that rid you of your rat and mouse problems while being environmentally-friendly. We can also help you identify potential structural defects that may have been caused by any mouse and rat infestation, if applicable. If you believe that you may have a rat problem, call Extermination Falcon today to schedule your free inspection.